People visit the Adirondack Coast for tons of reasons. Not to mention, there are tons of attractions providing adventurous daytrips, particularly for outdoor lovers! Whether that means hitting the trails for a hike or getting out on the lake for a paddling or boating excursion, excitement is never too far off. But then there are those of us who, although we appreciate nature, prefer to do it from a distance. A good, healthy distance, probably with a glass of wine in hand. My friends, I am here to tell you, there is enjoyment on the Adirondack Coast, even for us “indoorsy” types. Perhaps especially for us, if shopping is what we enjoy most. Whether uptown or downtown, there are steals and deals to be found. Champlain Centre is home to 65 quality stores, both big names and small boutiques. From JC Penney to DSW, it's worth the trip. But maybe you’re a Maxxonista looking for something unique and trendy for a night out? Luckily, we’ve got a TJ Maxx right near the Comfort Inn & Suites in the Route 3 shopping district, if you happen to be traveling and forgot to pack the perfect pair of shoes or accessories. But maybe it’s not clothes or shoes you’re interested in. Maybe you’re looking for deals on home décor, which is equally as exciting (in my book). Stores like Homegoods and Target offer tons of options for a range of tastes and styles. And the fun doesn’t end uptown. 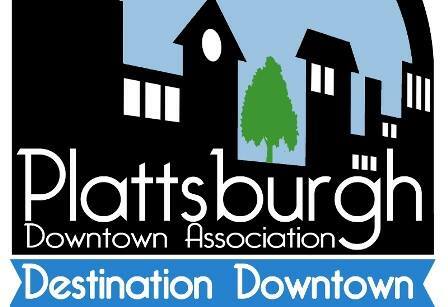 There are even community events surrounding shopping as a pastime, like Destination Downtown, hosted by the Plattsburgh Downtown Association, taking place on Sunday, May 22nd. Popular shops, bars, and wineries will offer discounts from 11:00am to 4:00pm, while throughout the streets visitors will find bouncy houses, face painting, outdoor restaurant seating, and more! Follow the yellow balloons – they’ll be floating outside participating stores. Explore second-hand shops and specialty boutiques. Unique finds, both new and old, are waiting to be discovered. Sometimes you just have to relax, take a stroll, grab a cup of coffee, and give in to the desire to shop till you drop. Our Canadian friends can find unique Steals & Deals just for them online at goadirondack.com/deals. Download the booklet and head to the coast for your most affordable getaway yet! For the latest on events and happenings on the Adirondack Coast throughout the summer, follow us on Facebook, Twitter, and Instagram using @AdirondackCoast! We’ll make sure you don’t miss a beat – or the chance to score a sweet deal.